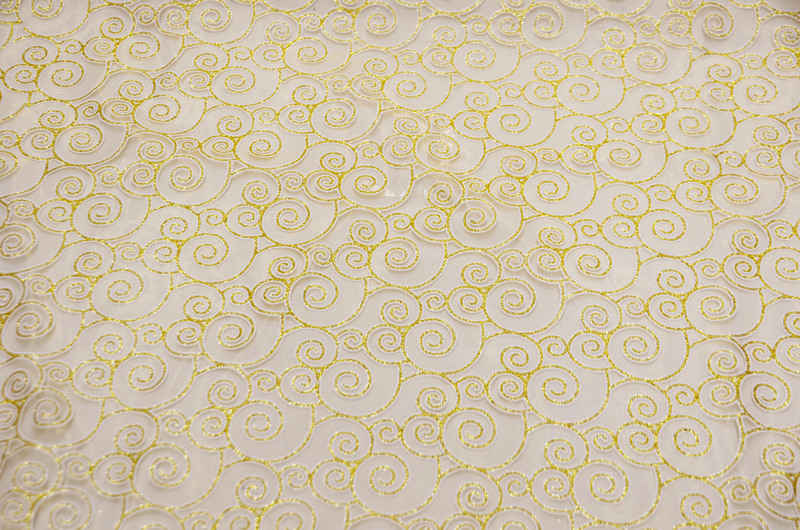 Order the Best Quality Glitter Swirl Organza Yards available in 3 different colors. 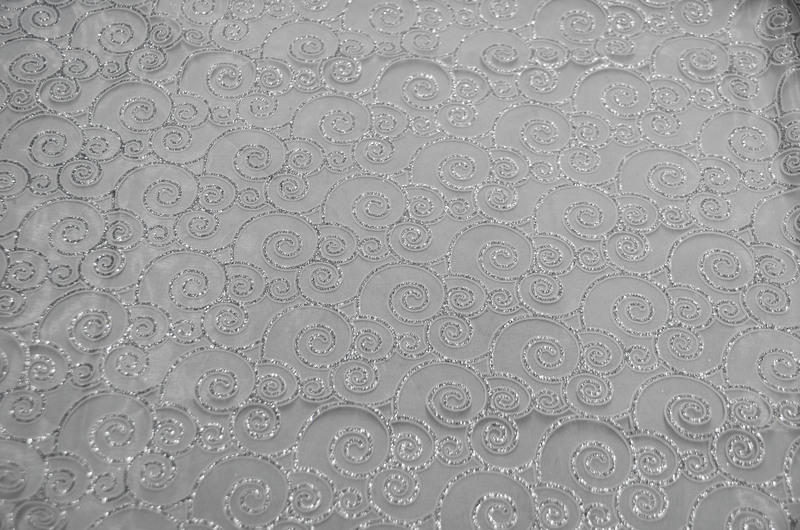 Picture Taken: Our Glitter Swirl Organza picture was taken over a white polyester fabric. We chose to do this to enhance the design and pattern over a white polyester. Organza colors are always lighter in pictures and can decrease over lighter colors. 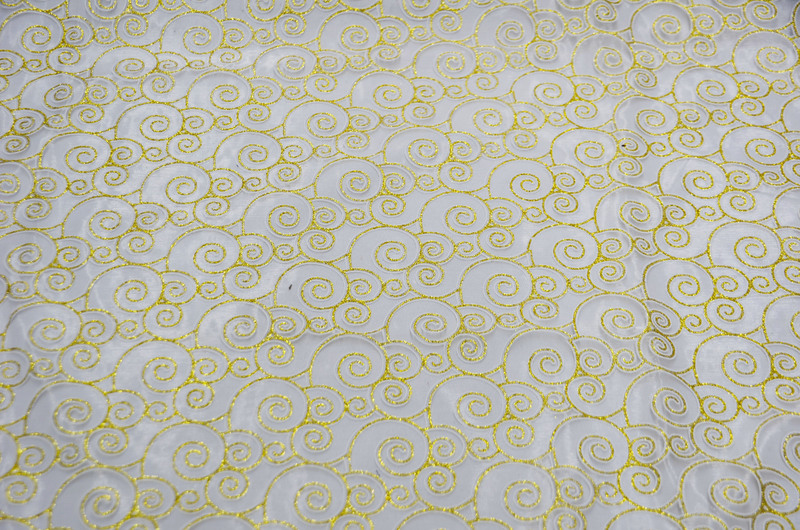 Fabric Description: Our Glitter Swirl Organza is a fun glittery swirl embroidery at a fairly economical price. Great for Birthday Parties and Artsy projects. Fabric Weight: Light weight with a semi soft hand feel. Great for tablecloths and Art projects. We always suggest prewashing the linens before use. The Golden Rule to this suggest when you prewash fabrics, be consistent. For example, either prewash all your fabrics, or do not prewash at all. Glitter Swirl Organza is a hand wash item only. Machine wash will damage and take off Glitter. Please hand wash with mild soap and hang dry. We always suggest dry cleaning to preserve fabric life-cycle.